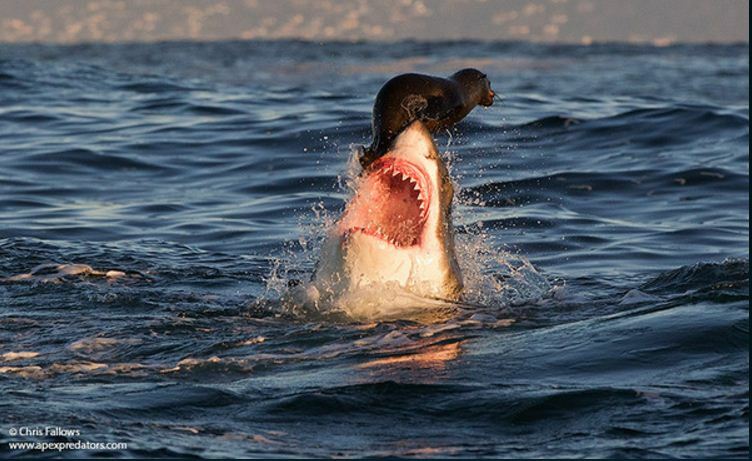 7 Jaw-Dropping Real Shark Photos You Have Got To See - We Love Sharks! 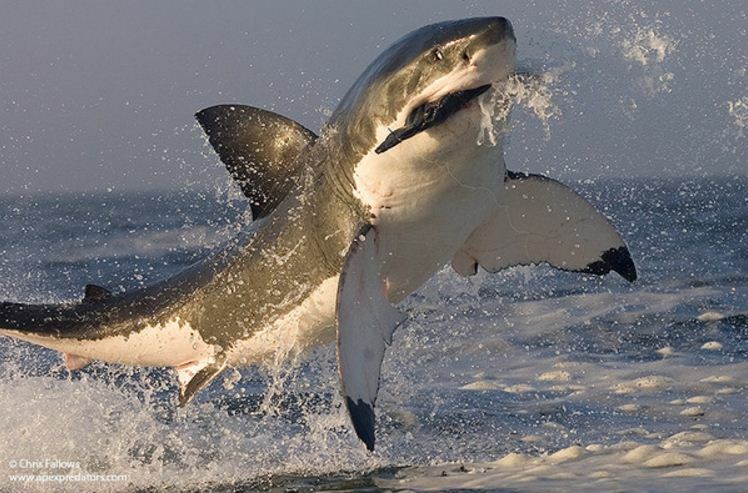 7 Jaw-Dropping Real Shark Photos You Have Got To See - We Love Sharks! For all shark lovers out there, here’s our compilation of some of the most awe-inspiring real shark photos taken by talented photographers. 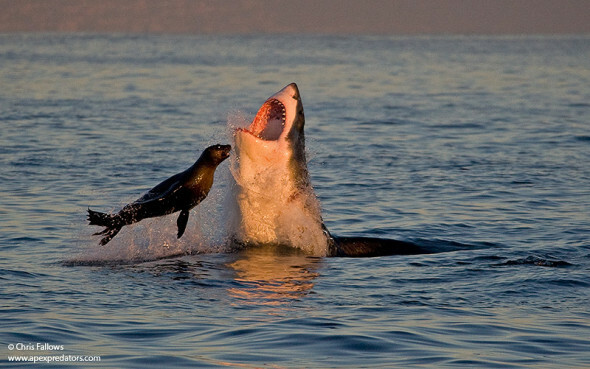 Though people still generally regard sharks as just vicious predators, these pictures show these incredible and intelligent creatures in some of their most glorious moments. Chris and Monique Fallows have been photographing great white sharks for over 20 years now. And they say that although the difficulties in getting the right shots can be great, the rewards are even greater. Many of the scenes they capture involve a stunning display in the battle of survival between great whites and the fur seals of Seal Island. They call this spot “the ring of peril.” It’s a stretch of water above an underwater gully alongside Seal Island, South Africa. 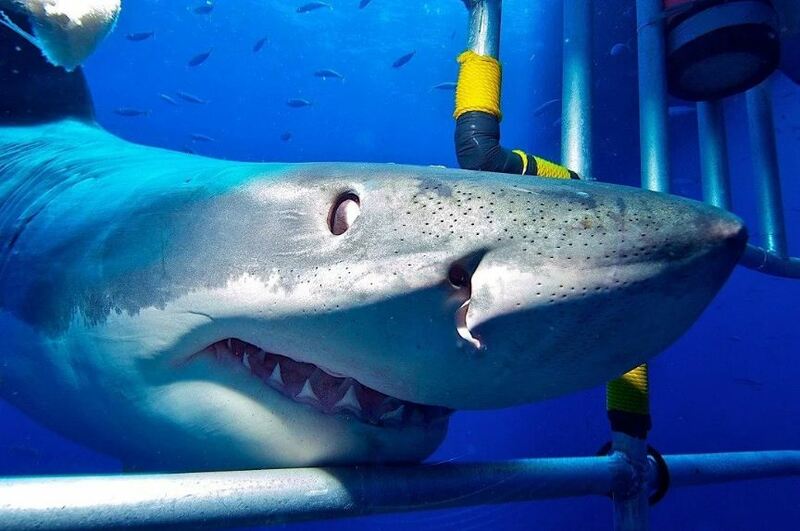 Most dive locations featuring great white sharks require the divers to remain in a cage for safety reasons. The cages have gaps in-between the metal bars. 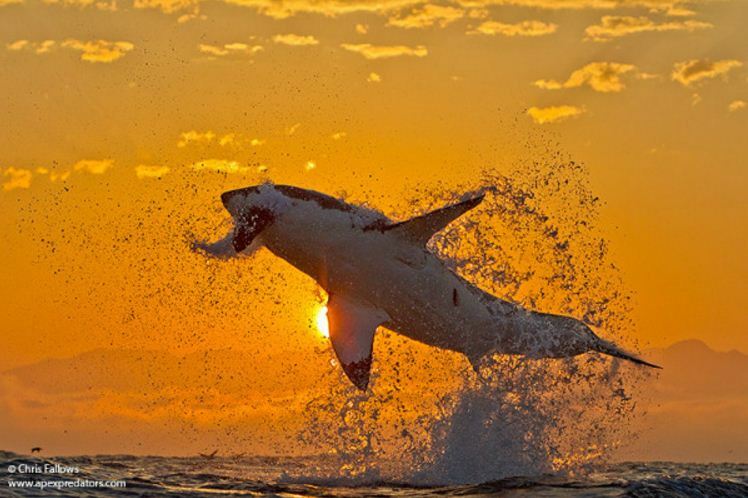 With the dawn of each new day, the great whites near Seal Island prepare to fly in pursuit of seals. To get this particular picture, Chris needed the shark to clear the water completely. Eventually this shot happened after hundreds of futile attempts. 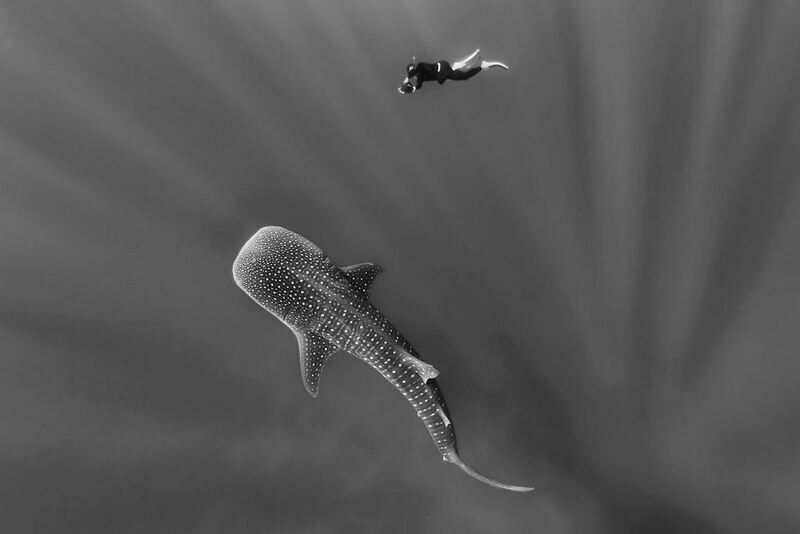 In this magical-looking shot of a whale shark from above, the shark almost appears to glow in the stark black, white, and gray photo. Getting these kind of real shark photos is a matter of determination and skill and often times being in the right place at the right time. In the constant battle for survival, only the fittest (and sometimes the luckiest), survive. Chris has witnessed seals that were almost right in the jaws of great whites using the teeth of the shark as a leverage in a final push to escape the closing jaws. In this particular photo, surprisingly the seal never gave up and somehow managed to escape. 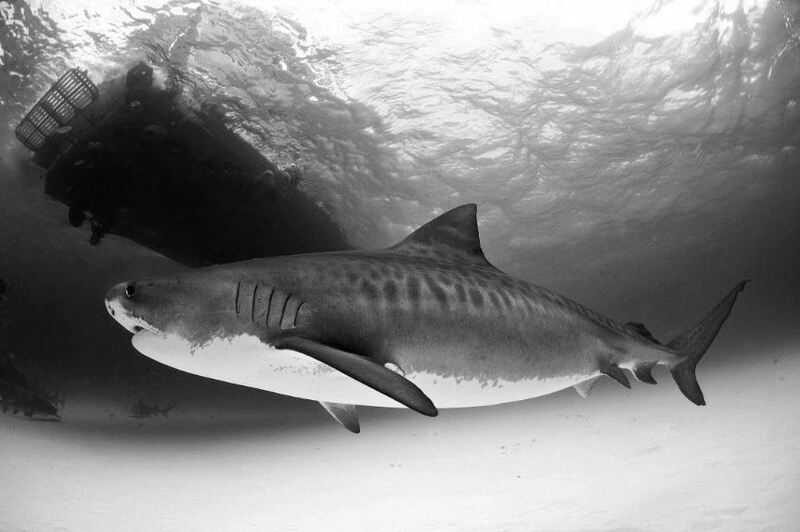 This female tiger shark is named “Emma” and she’s somewhat a local favorite at her native habitat in the waters off Tiger Beach, Bahamas. In fact, she “rules” the waters there. She shows off her pregnant belly in this photo. You can literally see the look of terror on the face of that seal as it realizes that this is likely the end of the road for it. These pictures are just a few of many more you can find by checking out the photographers’ website on the links above. They just go to show how majestic, magnificent, and evolved these sharks are in their natural environments.